Christmas Quilt – at Last! A huge pile of Christmas fabrics has been in my stash for a long time. 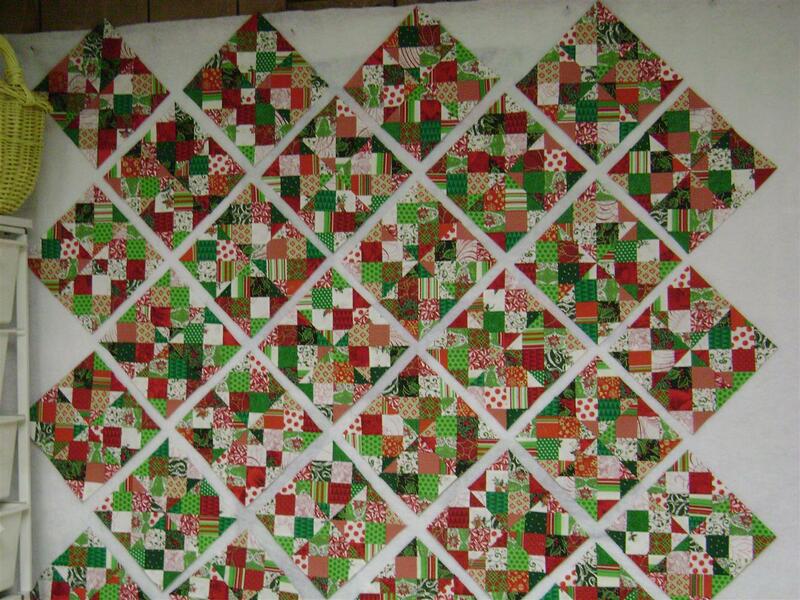 I have been determined that I would eventually make a Christmas quilt or two. 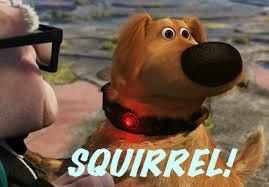 And I am! I am doing a cross-cut 16 patch. 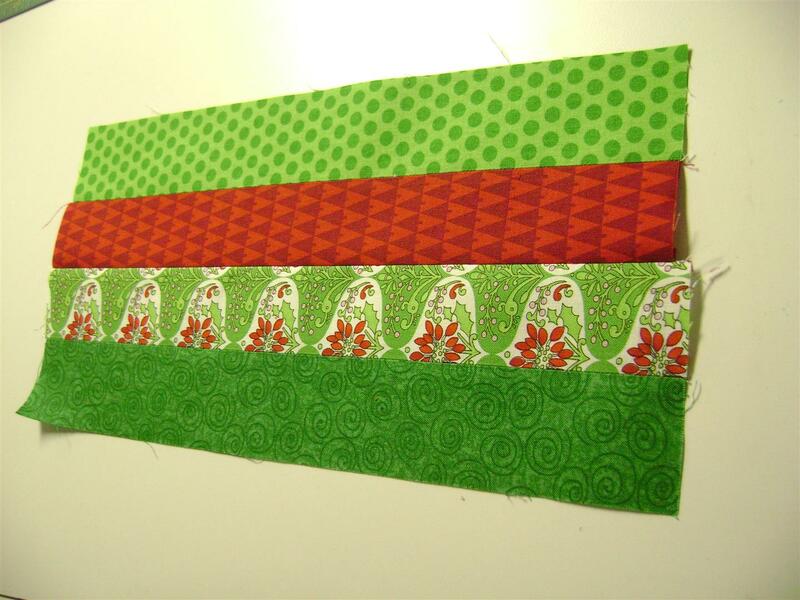 First, I sewed four 2 “ strips together (really wished I had used wider strips – makes for tiny pieces). 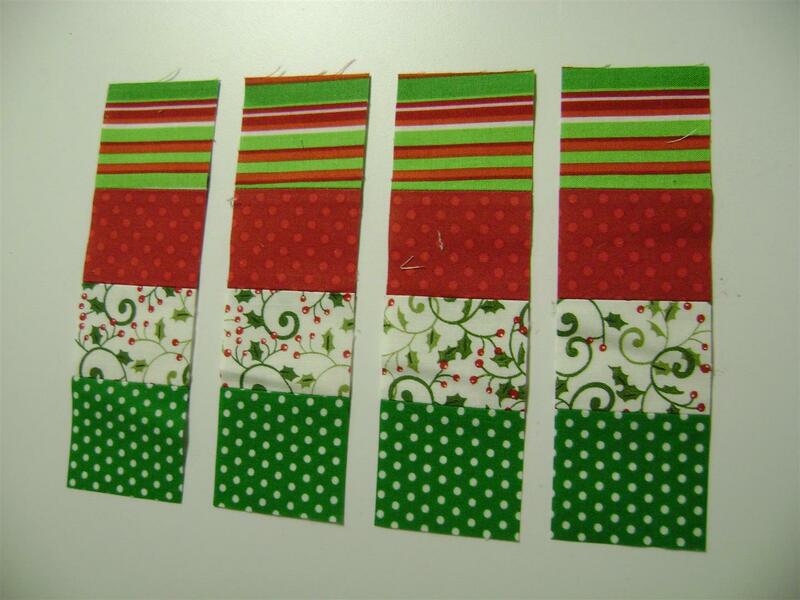 Then, each strip set is cut across 2”, creating a row of 4 blocks. 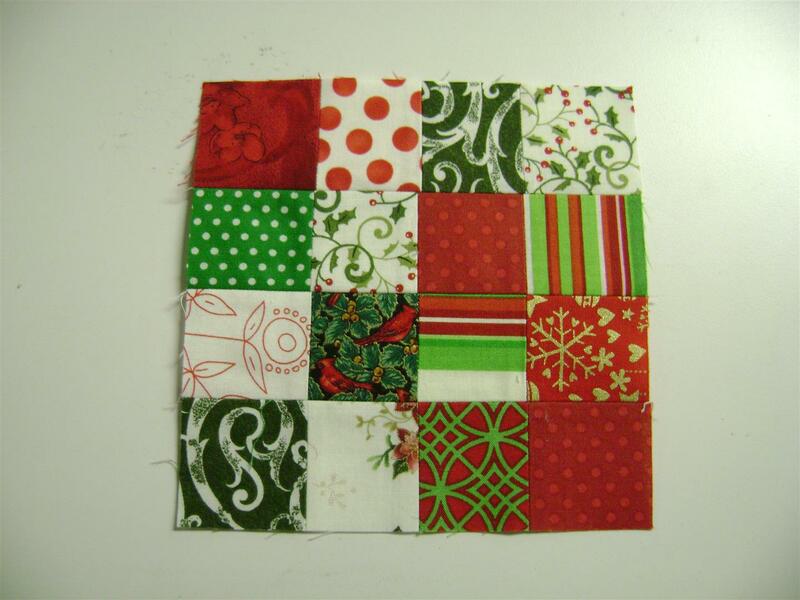 Four rows of blocks are then sewed together, carefully matching seams, to create a 16 patch. Hint: Using a finer bobbin thread and pressing seams open makes for a nice flat block. I like it much better than “nesting” the seams. The 16 patches are then cut from corner to corner, creating 4 triangles. I then sew 8 of the triangles to make the block. Whew! Cut, Sew, Cut, Sew, Cut, Sew…. I need 6 more blocks to add to the design board. I’m planning on using a dark green with tiny gold stars fabric for a sashing. Won’t know about borders until I’m there. This has been a LOT of sewing, but I think it will be worth it. I’m also determined to stick with it and not turn it into a UFO to be finished another year. 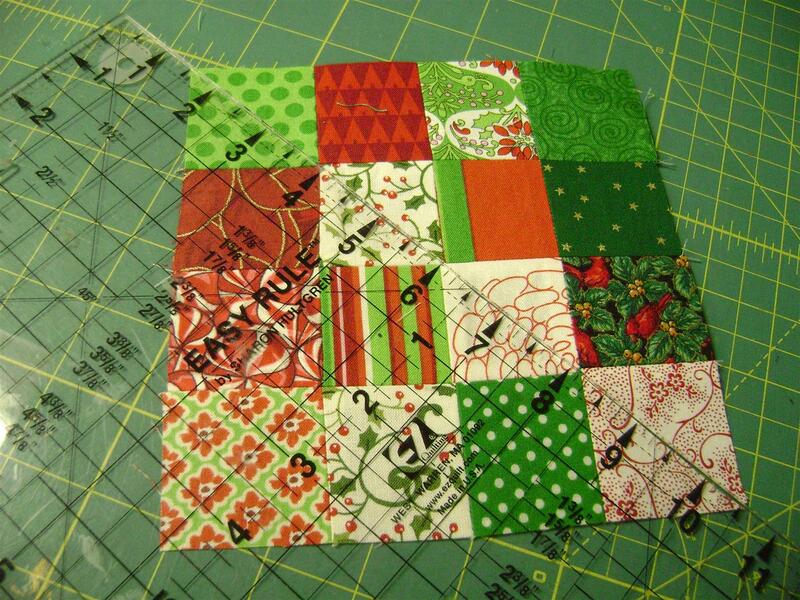 Posted in Quilting and tagged Christmas Quilt, Quilt. Bookmark the permalink. 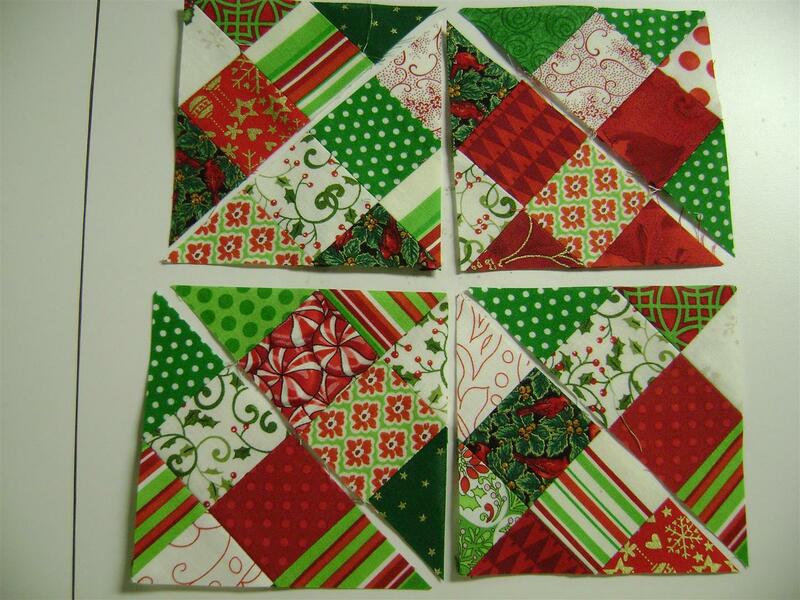 Love scrap quilts, love Christmas fabric too, so the combination you have created is ticking my box! Love it! Well done you, many thanks for sharing with me! Thank you Jay! Hope you’ll come back to see it finished!